Do you want work shoes that not only look good, but provide you with the comfort you need day-to-day? You probably want some safety features included, too. Wear these Reebok Women's RB173 Black Composite Toe Dayod Shoes and look sharp. They're comfortable, too. Mad ... (see full details) (see specifications) #RBKRB173. Do you want work shoes that not only look good, but provide you with the comfort you need day-to-day? You probably want some safety features included, too. Wear these Reebok Women's RB173 Black Composite Toe Dayod Shoes and look sharp. They're comfortable, too. Made with suede leather, these Reebok shoes are sure to please. Providing a foot-cooling system and maximum ventilation, these women's shoes have a nylon mesh lining. The insoles have removable EVA cushion inserts, along with sponge rubber heel wedges. These dual-density composite toe shoes combine lightweight EVA midsoles and rubber traction bottom outsoles. As such, they weigh less, provide good cushioning, and absorb more force. Another feature of these slip-resistant shoes are the extra wide composite toes. These protective shells are made with molded polymer composite technology, along with unique ballistic mesh for added strength. The material is non-conductive and will not transmit heat or cold. The EH shoes meet ASTM standards for their composite toes, so you'll be kept safe around falling and rolling objects. In addition, these 100% non-metallic shoes won't activate metal detectors, making them security friendly. The ESD shoes are also static dissipative and electrical hazard rated. 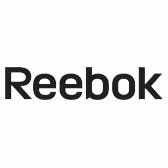 Reebok Women's RB173 Composite Toe Black Shoes provide the best oil-, chemical- and abrasion-resistance. The outsoles of these safety toe shoes provide durability against everyday wear and tear, giving you support for long hours and tough tasks. These safety toe shoes are also slip-resistant and will help protect you from those graceless comic book moments. Try this Reebok footwear and feel safe while you look sharp. This is the second time I have ordered these boots as they are just that comfortable and don't hurt my bunion. They are tall enough for some support of the ankles and my feet don't hurt after working a 12 hour day on a cement floor. That is 12 hours of on my feet not sitting so i would recommend if you are on your feet for long periods of time. No real break in time and comfy. I was hoping this was going to last as long as my Timberland, but not! Basically, within the 14 days, the inside back, where my ankle rest, ripped! This left part of the frame to be exposed, which caused discomfort and big blister! It was a waste of money, now I need a replacement similar style shoe. I'm very disappointed for purchasing this shoe. I was hoping that it would last as long as my Timberland Pro. The back ankle side ripped and exposing part of the shoe frame, making it uncomfortable to wear to work. On my feet for long hours, got a blister on my ankle for this defect; getting a replacement shoe! Reebok Shoes: Women's RB173 Black Slip-Resistant Dayod Composite Toe EH Shoes is being added to your cart.